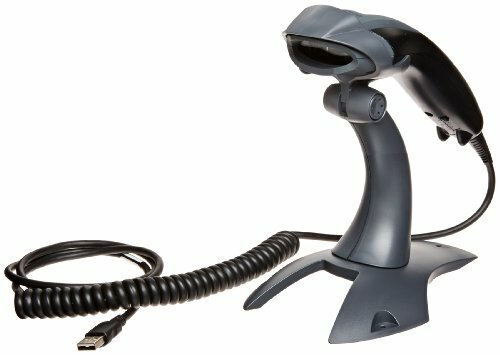 Designed to provide outstanding scan performance, the Voyager General Duty Single-Line Wired Handheld Barcode Scanner delivers aggressive scan performance on virtually all linear bar codes, including poor quality and damaged codes. A worry-free linear scanning solution, this barcode reader provides fast and reliable scanning across its full working range, minimizing the need for user training. As well as decoding poorly printed, smudged, faded and other difficult-to-read barcodes with ease, the 1200g Barcode Scanner also excels at scanning high-density bar codes with resolution down to 3.5 mil, eliminating the need to purchase additional specialty scanners. CodeGate Technology ensures that the desired bar code is scanned before transmitting the data, making this price scanner ideal for use in menu scanning applications. Featuring class-leading presentation scanning and a superior out-of-the box experience, the 1200g increases throughput by providing object detection and automatic in-stand detection and configuration. The automatic multi-interface detection and configuration minimizes costs by providing support for USB, keyboard wedge, and RS232 interfaces. The handheld scanner's tough construction helps decrease downtime and service costs. It features a single shock-mounted PCB for greater impact resistance, a recessed button protected by an integrated rubber co-mold that minimizes the impact of accidental drops, a protected, scratch-resistant glass window and an IP42-rating. The lightweight, ergonomic design features an integrated finger groove that comfortably fits most hands.